^ Euzéby, J. P. (1997). "List of Bacterial Names with Standing in Nomenclature: a folder available on the Internet (13 Dec. 2007 version)". Int. J. Syst. Bacteriol. 47: 590–592. doi:10.1099/00207713-47-2-590. Archived from the original on 22 December 2007. Retrieved 15 June 2018. ^ a b "ICTV Code. Section 3.IV, § 3.23; section 3.V, §§ 3.27-3.28." 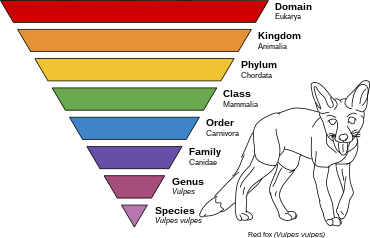 International Committee on Taxonomy of Viruses. October 2018. Retrieved 28 November 2018.